Ashfield Hall is Bangor's newest and most exciting residential development. An exquisite development of luxury homes, Ashfield Hall is situated in the highly sought after location of Ballycrochan Road. 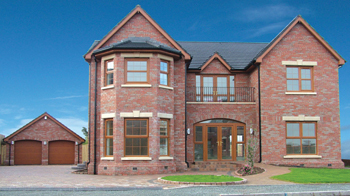 introduces a whole new choice of stylish living to Bangor. Ideally situated just off Ballycrochan Road, Ashfield Hall exudes a fresh rural atmosphere, looking out over rolling open countryside. The area has long been established as the premier Bangor address and is only a few minutes from the Ring Road, ensuring easy access to the bustling town centre, many excellent primary and secondary schools and a host of other amenities. For those interested in leisure and recreational facilities, the location of Ashfield Hall could not be better - a magnificent golf course, several hockey, rugby and football clubs as well as tennis courts are all close by. The well proportioned accommodation in each of these superb homes is perfectly geared for the rigours of a modern family lifestyle. Ranging in size from 2,720 to 3,189 sq ft approx. 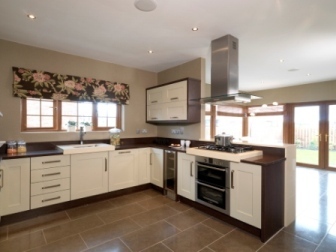 each home will be complemented by superb individually landscaped gardens. Externally, great thought and attention to detail has gone in to making these homes notable for their style and finish, enhancing the ambience of the development and providing a classical look that will maintain its appeal for decades. Ashfield Hall represents a rare opportunity to acquire a luxury detached home in one of Bangor’s most up-market addresses.